Welcome to the Family Dreams Sands Cancun! Beautiful Dreams Sands Cancun opened officially on Monday and we couldn’t be more excited to be back in the heart of Cancun! Dreams Sands is the 10th resort in our growing Dreams Family, with two more properties, Dreams Las Mareas Costa Rica and Dreams Sugar Bay St. Thomas, on the way. Live view of the pool at Dreams Sands Cancun. Can you imagine yourself here? 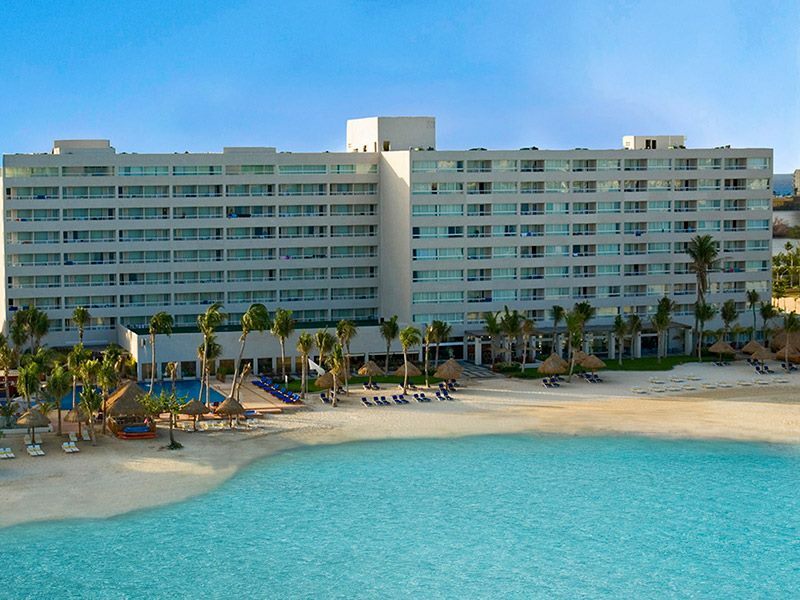 Perfectly situated along a breathtaking white sand beach in the heart of Cancun’s Hotel Zone, guests at Dreams Sands Cancun can experience all the great inclusions of Unlimited-Luxury® at the newest beachfront resort of their dreams. There’s something fun for every age at Dreams Sands! Check out some photos of this incredible new resort below and take advantage of our special introductory rates. You and your family can escape to Dreams Sands Cancun in a Deluxe Oceanfront room starting at $119 per person/per night, plus up to two kids play, stay and eat for free when staying in the same room as two paying adults! Book this limited time offer today for travel through April 10, 2015. We can’t wait to welcome you to Dreams Sands Cancun! 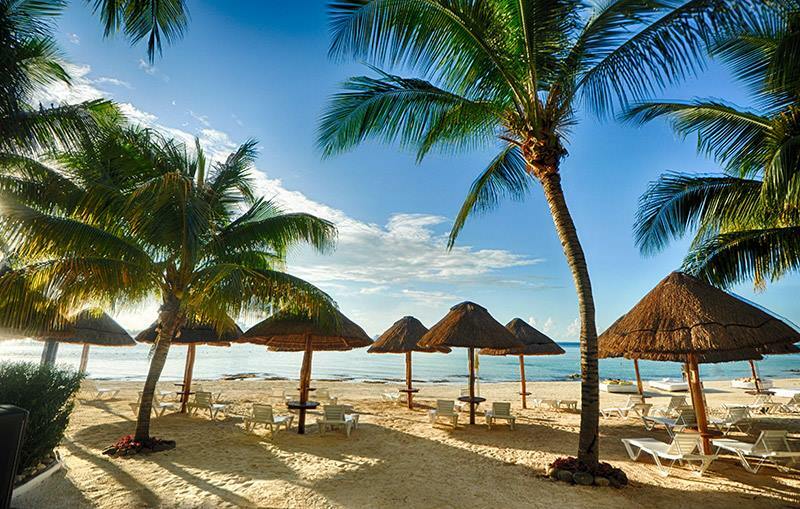 The stunning beach at Dreams Sands Cancun. 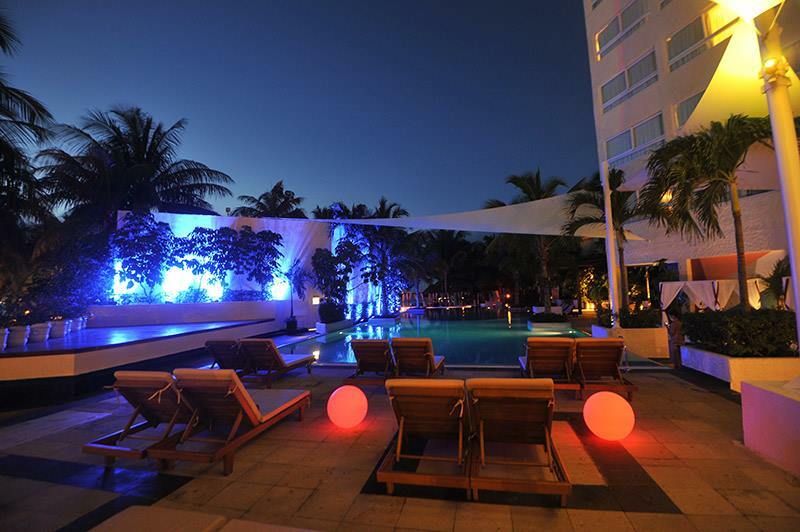 Dreams Sands Cancun is just as beautiful at night as it is during the day! 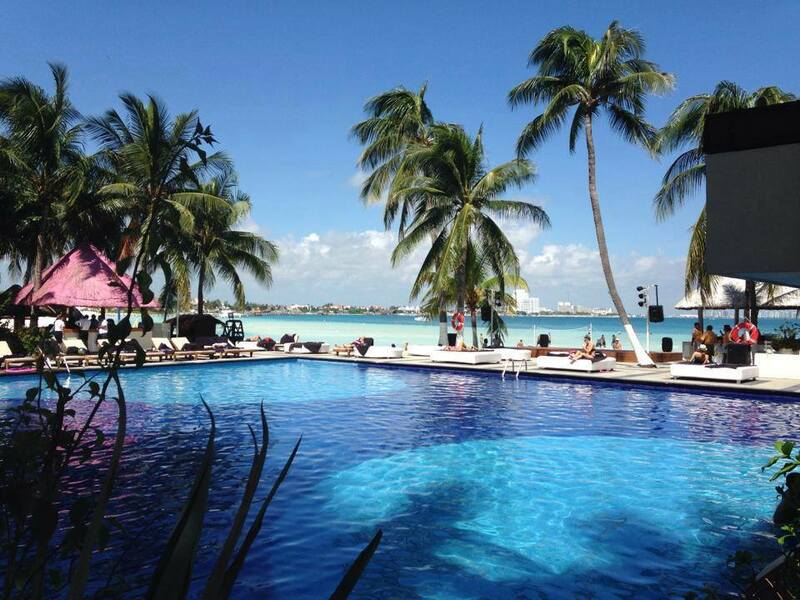 Relax in the perfect paradise that is Dreams Sands Cancun. 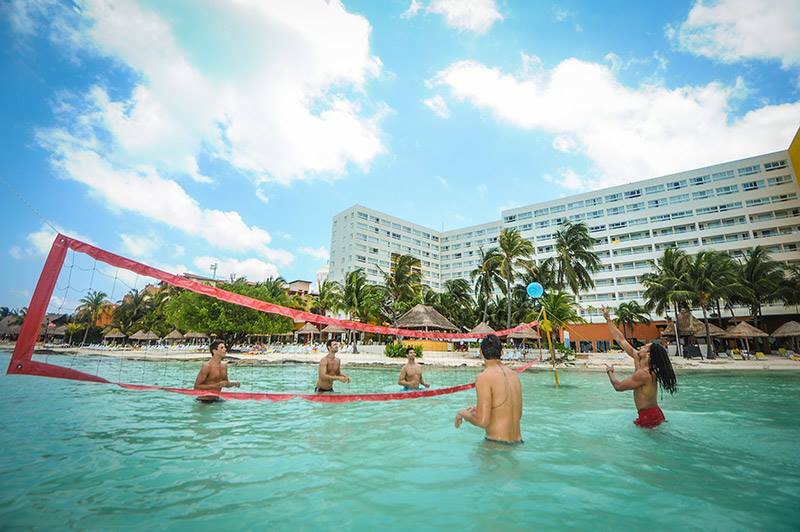 Have a blast with friends and family at Dreams Sands Cancun! 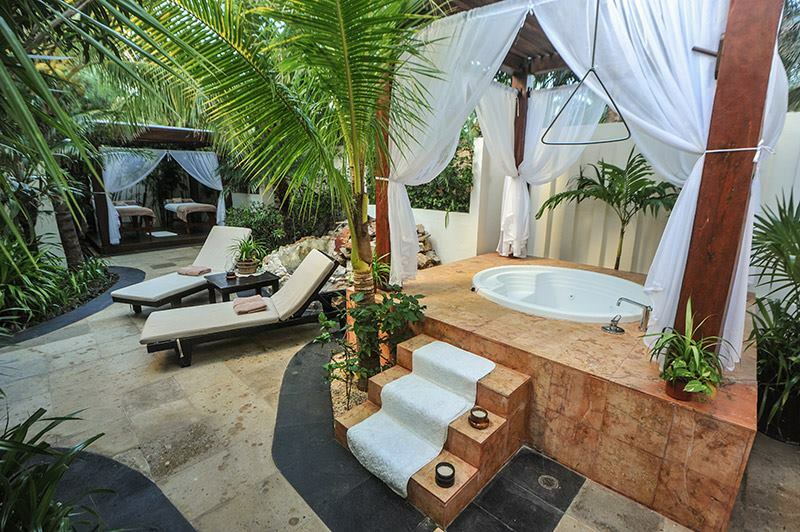 This entry was posted in Dreams Resorts & Spas, Dreams Sands Cancun and tagged all-inclusive, Cancun, Dreams Sands Cancun, escape, Mexico, paradise, vacation. Bookmark the permalink. Hi Mary I’m currently a guest after four days here and the pictures are NOT a true representation of the vacation experience you may be hoping for. The outside and common areas are okay and the staff are very friendly. However our accommodations didn’t include basics such as Hot water, working t.v. Working jacuzzi, meats at breakfast, working telephone, no pepperoni for pizza nor buns for hamburgers nor toast at breakfast. In other words you get here with high expectations and spend your vacation resolving issues I mentioned above. Bottom line you truely get what you pay for. All of the restaurants have not yet opened. However, they may be after 5 days. My husband and I travel the world and have gotten better quality accommodations at a lower budget priced hotel. Hola estuvimos con ustedes en la apertura de su hermoso Hotel y aunque se vivieron algunos inconvenientes en el debut, deseamos felicitar a la familia AM RESORTS por la inaguraciòn y por habernos hecho pasar las mejores vacaciones de nuestra vida, gracias a Daniel Navarro (gerente general) quien al mando de un excelente equipo le diò a la familia Flores una estancia deliciosa, si bien hubo sus pequeños detalles en el primer dìa, todos los detalles diarios le dieron a nuestra estancia el plus para hacerlas inolvidables y desear que no terminaran. Gracias a Helio de bellboys, Dante, Omar y Luis de recepciòn, Alejandra y Brisa nuestras anfitrionas en el lobby, Marìa y Williams nuestros atentos anfitriones en albercas, Karen,Elizer y Enrique quien diariamente nos invitaban a participar en las actividades en playa, gracias a Osvaldo gerente del restaurante el Olio por hacer de nuestra segunda noche algo simplemente inolvidable con esa cena a la orilla del mar en conjunto con Marisol la amable hostes y Webster nuestro atento mesero, nuestros desayunos amablemente atendidos en el Word cafè que dicho sea de paso, aunque esperaba desayunos a la carta, el buffet no me defraudò, su amable hostes Itaì asì como wilbert quienes nos atendieron a cuerpo de reyes no puedo dejar de lado la !magnìfica! cena del restaurante frances Bordeaeux en donde ensalzaron mis sentidos con ese delicioso Salmon, exquisita crema de espàrragos, el excelente chardonay blanco, deliciosos postres, etc. Amablemente atendidos por Dima nuestro anfitriòn. En fin comida, comodidad, excelente atenciòn de TODO el personal con el que tuvimos el honor de compartir nuestras vacaciones, una vez màs GRACIAS, espero verlos pronto para constatar que los tropiezos de la apertura fueron nimiedades en comparaciòn con lo que sè volverè a vivir con ustedes. Saludos dede Monterrey de Estela Zavala y la familia Flores. Sounds like Dreams have tried to open this hotel way before it is anywhere near ready. After reading the reviews on TripAdvisor it does not sound like the luxury hotel the ‘Dreams Sands’ web-site is portraying, in fact it sounds far from it. Just wondering if they can turn it around before I visit in November, I really do hope so! Come on Dreams Sands Cancun, get your act together & tell the truth about the status of your new resort, for the sake of your reputation!!!! Still mostly negative reviews on TripAdviser, surely they cannot all be wrong. Any update as to when the ‘Preferred Rooms & Lounge’ will become available to those who have reservations in the coming days/weeks? What’s going on in the restaurants, from the reviews many items on the menu appear unavailable, outlets are constantly running out of stock? No reservations allowed & long queues to get a table? Come on ‘Dreams Team’ please supply some answers, this is your websites contact page/blog so why are you not participating? resulting in the dropped link to Xbox Live, there’s hope. so that you’ll have to jump with it with certain expectations. the benefit of Internet connectivity and flexibility.